Hello everyone! I hope that you’re enjoying the summer, wherever you are. Every month I check each link carefully. I NEVER copy and paste a link from another website without checking it myself. And yet every month there is at least one link that is dead, or comes up with something bizarre. My apologies to those who tried to submit their learned papers last month, only to be offered ways to increase blood flow to a certain part of the male anatomy. No doubt this month will throw up something equally embarrassing! 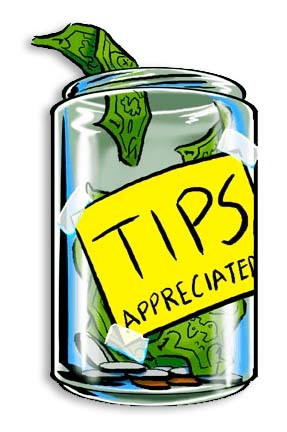 Many thanks to those who’ve donated to keep the site going, via my tip jar (link for UK readers). It all helps. The summer slump continues… Keep submitting and entering. People are on holiday, or busy with children. Even if you are too, find just a few minutes to send something off! There’s a very good piece here on submitting poetry, by the wonderful Erika Dreifus. I agree wholeheartedly with what she says. So submit! Enter! You have a very good chance! I’ve built my whole career on ‘have a go’. Here are August 2017’s writing competitions and calls for submission, all with free, electronic entry. Hello all! Many thanks, as always, to those of you who have sent me messages telling me about your successes. I really should have put them on a page to inspire the rest of you… As usual I’ve been busy – writing, editing, and reading some wonderful work by other people. I’ve had some acceptances but it hasn’t been the most succesful month for me. In fact, it’s the summer slump. While December is by far the best month to enter or submit, as there are loads of opportunities and many writers are far too busy to do as much as usual, July and August come joint second. People are on holiday, or busy with children home from school – which means that you and I should be submitting and entering, submitting and entering! If we do, then later in the year we should get some very nice emails indeed. Good luck with whatever you decide to enter! Here are July 2017’s writing competitions and calls for submission, all with free, electronic entry. I’ve been very busy, despite battling my disabilities. I’ve been lucky enough to win three writing competitions this year so far – the latest being the Spank the Carp poetry contest! 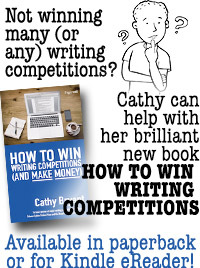 The thing is, I know literally hundreds of writers who are more talented than I am – but thankfully, they are suspicious of free contests and don’t enter them. It never seems to occur to them that scammers would much rather get money from you than not! Although there are a few to be wary of – for instance, if you’re a runner-up, but there’s no prize, and you’re invited to buy the expensive anthology your poem will be in… but most are legitimate, fun, and there is nothing to lose – not even a penny! There’s no sponsor for this month’s posting (boo!) but while Comps and Calls will always be free for everybody, don’t forget that I have a tip jar if you want to help keep this site going. Here are June 2017’s writing competitions and calls for submission, all with free, electronic entry. 30th Jun College students or recent graduates only: essay on one of the provided subjects. PAYING https://speedypaper.com/blog/scholarships/1150_global-essay-writing-contest-%60make-change-by-writing!%60-with-a-prize-fund-of-over-%242000! 30th Jun ‘Africanization and Americanization: Searching for Inter-racial, Interstitial, Inter-sectional, and Interstates meeting spaces, Africa Vs North America, Volume 1.